For years, astronomers have been looking for liquid water on Mars. Now, a team of Italian scientists believe they've found it. 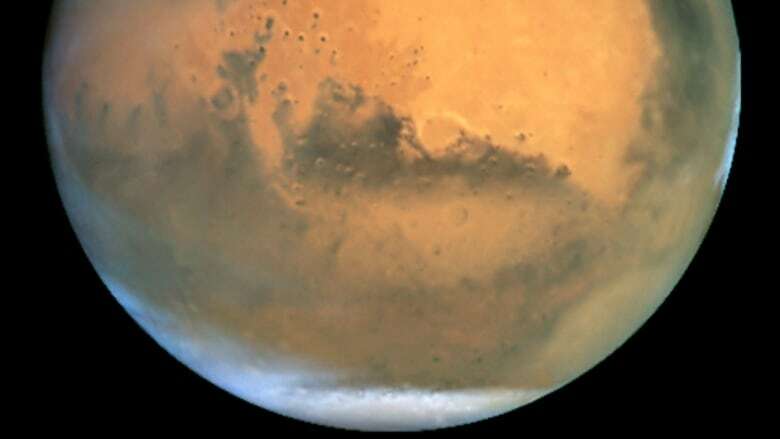 A team of Italian scientists has found the strongest evidence yet of liquid water on Mars. The apparent reservoir of water was detected beneath the planet's southern polar ice cap using radar on the European Space Agency's Mars Express satellite. 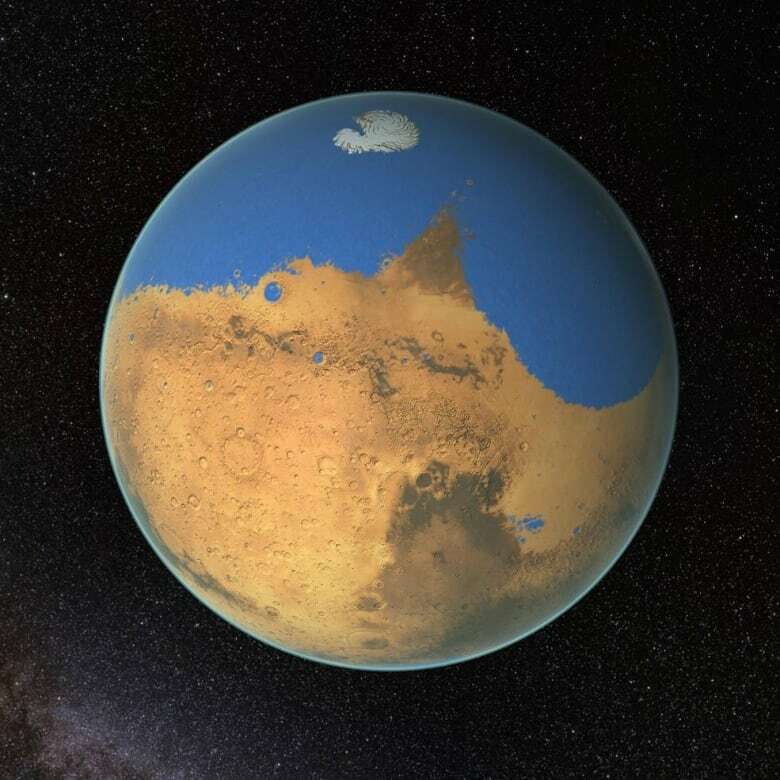 Evidence suggests that about 4.3 billion years ago, Mars was a watery world like Earth, with a vast — albeit shallow — ocean covering half the planet. But the planet eventually lost its magnetic field, which stripped it of its atmosphere and liquid water. Images of Mars today show a barren, dusty rock world. But scientists now know that Mars has quite a bit of water, in the form of ice. Each of the planet's poles consist of both water ice and carbon dioxide ice (dry ice). But there has not yet been solid evidence of liquid water on the Red Planet. Nevertheless, scientists have long pondered whether liquid water could still exist beneath the poles of Mars. These new findings — published in the journal Science — suggest that it does. About 1.5 kilometres beneath the planet's southern pole, in a region called Planum Australe, there is a "well-defined" lake or a possible aquifer covering 20 square kilometres, which the team suggests is salty, liquid water. "Progressively, we were narrowing the possibilities," said paper co-author Elena Pettinelli, an associate professor in the department of math and physics at the Universita degli Studi Roma Tre in Rome. "In some ways, we didn't want to think it was water … but really there's no other explanation." Still, the astronomical community is cautiously optimistic. 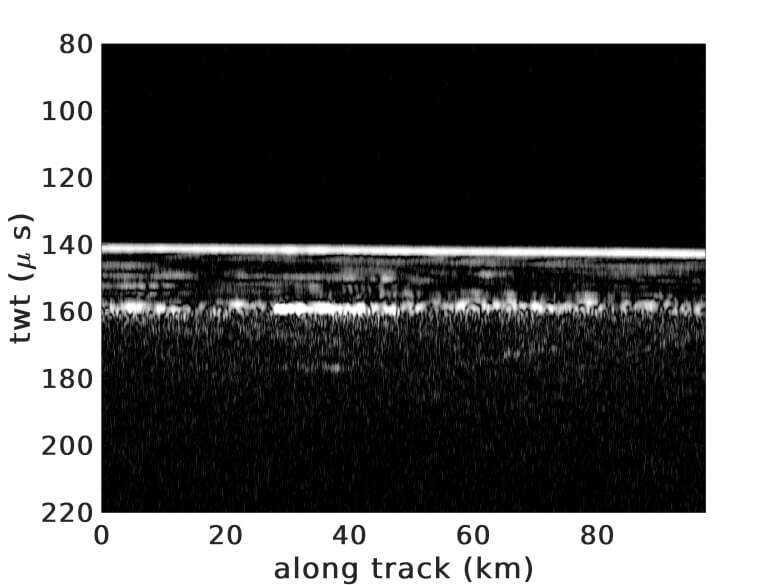 In 2015, scientists using NASA's Mars Reconnaissance Orbiter (MRO) said they'd detected flowing water on the planet after spotting "recurring slope lineae," or seasonal dark streaks on the planet's surface. There has since been continuing debate as to whether the streaks are a result of water or sand. Canadian Cassie Stuurman — a radar scientist with the European Space Agency, who was not involved in the study — compared these latest findings to being like discovering a "Lake Vostok on Mars," referencing Earth's largest subglacial lake, located in Antarctica. Scientists have been amazed to find tiny organisms there, leading them to speculate that life could exist in environments thought to be inhospitable — perhaps on worlds outside our own. "This is huge," she said. "We're talking about Lake Vostok on Mars — today, currently. It's hugely exciting … if this paper is correct." To draw their conclusions, the Italian researchers used data from the Mars Advanced Radar for Subsurface and Ionosphere Sounding (MARSIS) aboard the Mars Express satellite that has been orbiting the planet since 2003. In 2008, MARSIS detected an area of bright reflection, which suggested the possibility of liquid beneath the ice. In 2012, uncertain of what was responsible for that reflection in the radar, the team decided to reacquire data from the same region using different methods. The team had waited until the south pole of Mars was in darkness in order to obtain a clear signal. Eventually, the scientists collected data from 29 orbits — and the reflection was still in the data. The team spent another two years going through a rigorous process of accounting for other potential sources for the reflection. But everything pointed to liquid water. "When we arrived at that point, we said: 'OK, this is something that everybody was looking for for over 12 years.' Because this radar was sent to Mars to actually look for water — that was the main idea," Pettinelli said. "And when we did, we were excited and surprised and a little bit worried." While the team's paper has been peer-reviewed, the findings are only based on one source of evidence. "Unquestionably, they found something anomalous in the radar," Stuurman said. "The implications are huge, if they're right. But it would be great to see more supporting evidence [beyond the radar]." When it comes to the search for life, scientists have always stuck to one guiding principle: follow the water. If Mars does, indeed, have subsurface liquid water, there is then the potential for life. "This is a really exciting discovery," said Tanya Harrison, a planetary scientist and director of research for Arizona State University's Space Technology and Science Initiative. 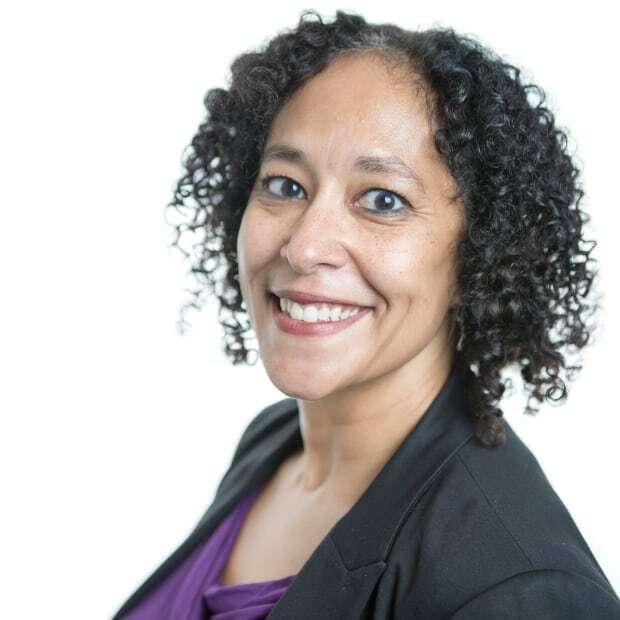 She was not involved with this latest research but is involved with NASA's Mars exploration rover, Opportunity, and the Mars 2020 rover, set to launch in two years. "I think this has massive astrobiological potential. On Earth, anywhere we find water, we find life," she said. "So if there is this 20-kilometre-wide thing of liquid brine just hanging out under the ice on Mars, maybe there's some kind of little bug living in there." 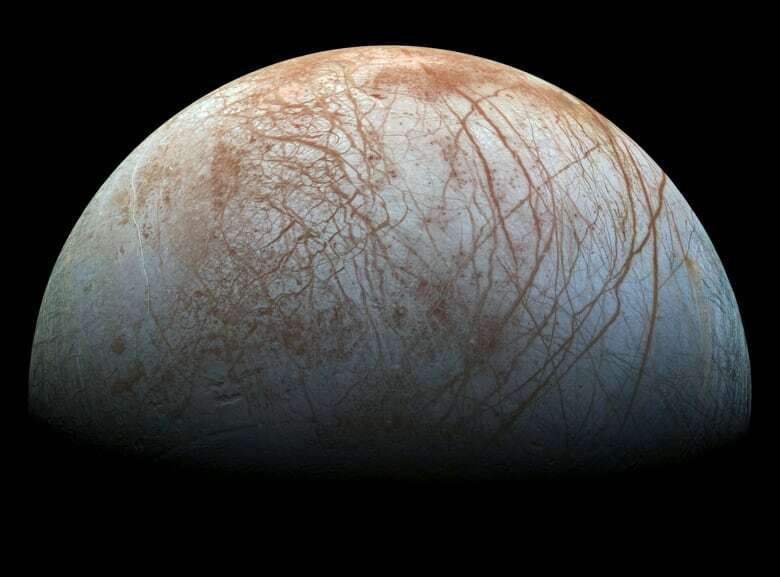 The findings also add Mars to a growing list of solar-system bodies with subglacial oceans — a list that includes Jupiter's moon Europa and Saturn's moon Enceladus. "Maybe that's the common thing in the solar system, and Earth is just weird," Harrison said. "We find all the other bodies that have melting going on in the inside, and here we have all the melting going on on the outside." Though the paper doesn't go into great detail as to the team's methods and data calculations, Pettinelli is hoping to publish another paper with that information in the future so it can be further analyzed by other planetary scientists. "As with any scientific discovery, in the future, someone else can do some more investigation and maybe correct some of these results. But It's part of science," she said. "We are quite convinced that this is the … only possible explanation." While both Stuurman and Harrison say they are cautiously optimistic about these new findings, they are also excited about what they can potentially teach us about the Red Planet's past. "Whatever the outcome of this debate is," Stuurman said, "this is exciting for Martian science."